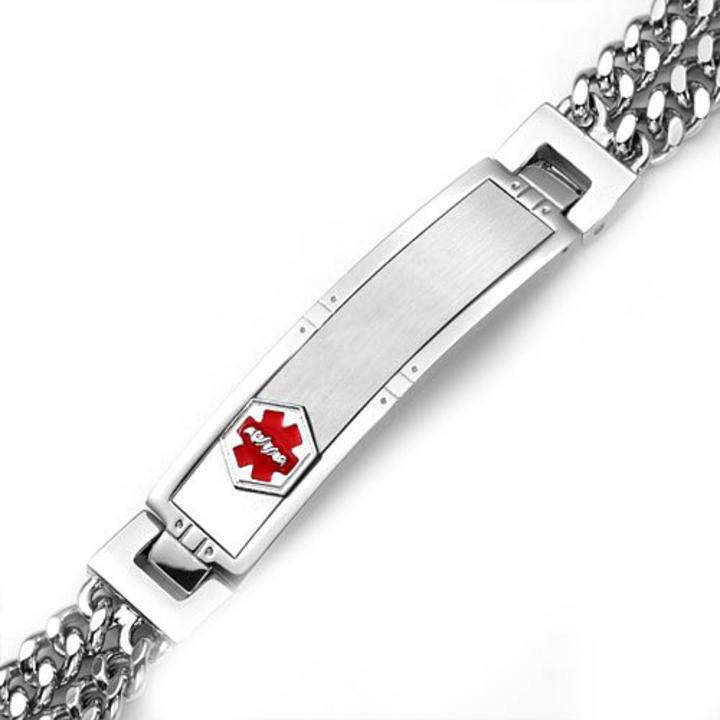 This medical id alert double chain medical bracelet has a red medical symbol on the front and can be engraved on the front or back. Wrist size should be approximately 1/2 - 1 inch smaller than stated length of bracelet.This medical id bracelet has a brushed finish, the medical plaque is 1 7/8 x 9/16 Inch and bracelet width is 1/2 inch. This comes with traditional engraving.